These Chisels feature Chrome Vanadium steel that withstands high stress and is resistant to wear and fatigue They also have beautiful ash handles with steel ferrules that prevent splitting. Overall length is 12". Factory sharpened and ready to use. 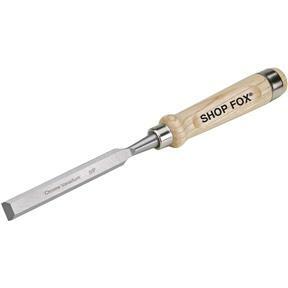 I bought this chisel to use where I wouldn't dare use a really good chisel. It works fine for what I bought it for - the price was great and the shipping was fast and reasonable.